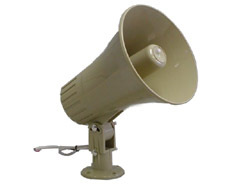 Intercom Systems and Accessories: ARK Petroleum Equipment, Inc.
We carry the complete line of ESCO Intercom Systems. From an inexpensive 5 station system to a fully loaded 32 station system ESCO has a solution for you. 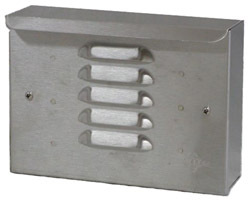 ESCO's Trademark Series Intercoms come with either an 8 or 20 speaker interface. 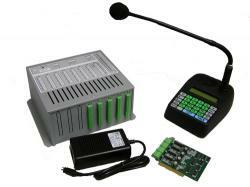 These systems are easily upgradeable to up to 16 or 32 speaker stations by adding optional 4 Speaker I/O Cards. 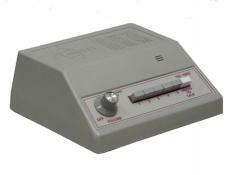 The base system uses a single Desktop Controller with the ability to attach 15 more. 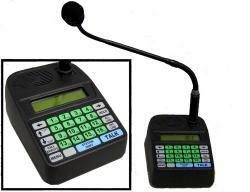 Its two voice channels allow communication to two speaker stations at once. The Digital Interface Box provides a convenient location for speaker and call switch terminals. Six month limited warranty. 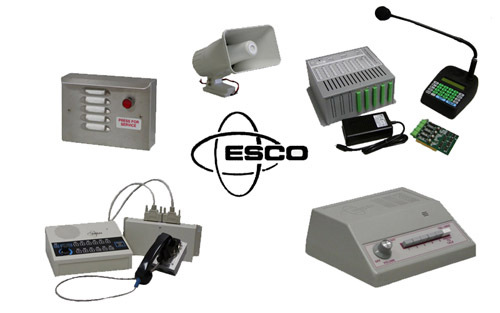 The ESCO Trademark Intercom system can be equipped for communicating to up to 32 wired speaker stations from as many as 16 Desktop Controllers. 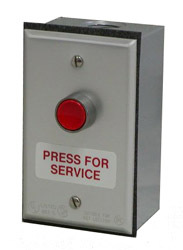 Two Desktop Controllers can communicate at the same time utilizing its two separate voice channels. 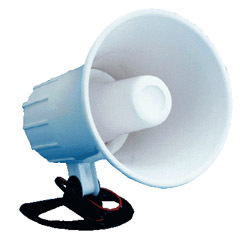 To price out an 8 to 16 speaker station system start from an 8 station system (941-0065). 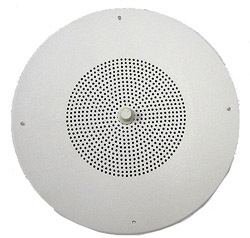 To price out a 17 to 32 speaker station system start from a 20 station system (941-0066). 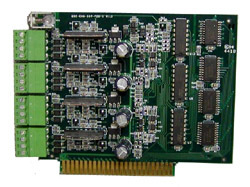 To increase the required number of speaker stations, add an appropriate number of 4 Speaker Station Interface Cards (941-0063). 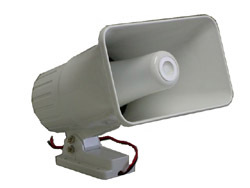 Intercom speaker and paging horn. 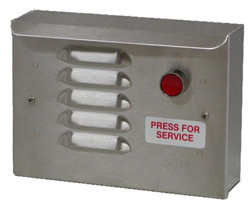 For use with Talk-A-Phone Intercom Systems. Matches multiple 8 ohm parallel loads.